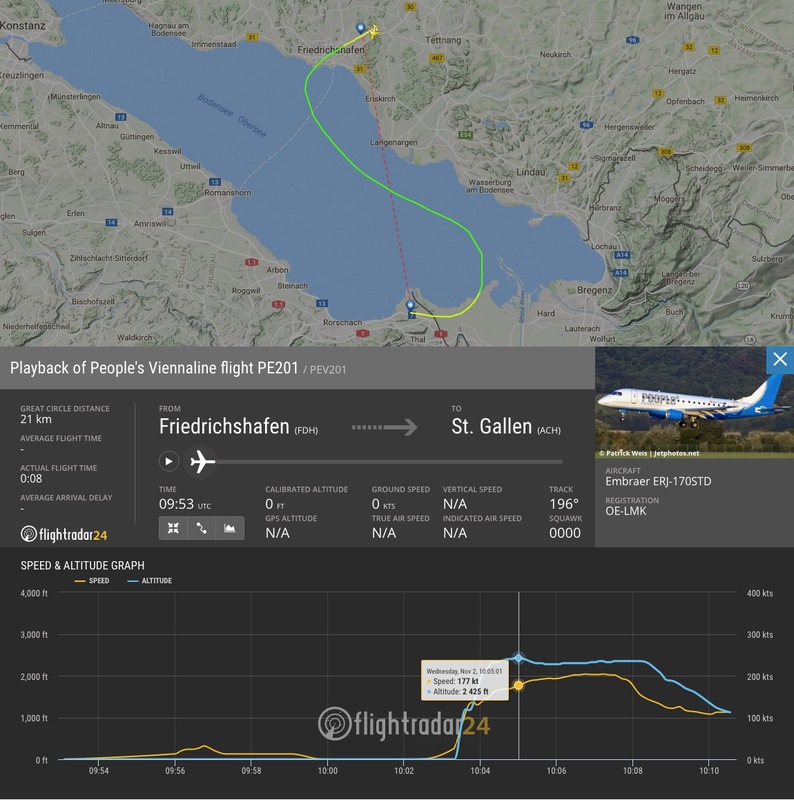 People’s Viennaline inaugurated the new shortest international flight today, flying between St. Gallen-Altenrhein and Friedrichshafen with an average inaugural flight time of 7 minutes and a gate-to-gate time of about 20 minutes. The service is used to connect passengers to their final destination in Cologne, though the short flight is bookable by itself. Follow the flights by searching for registration OE-LMK. 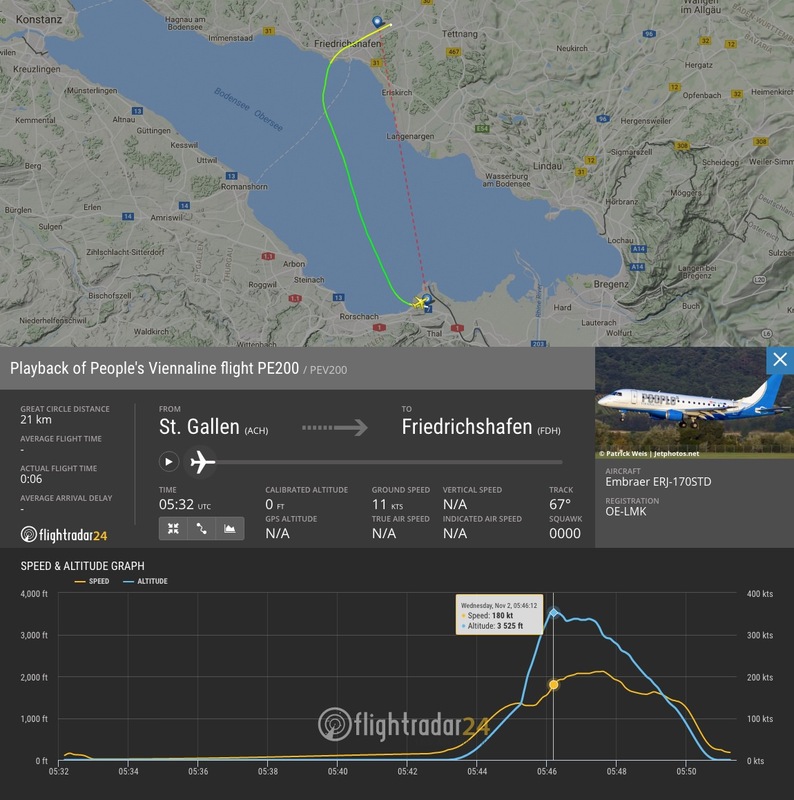 The flight from St. Gallen-Altenrhein (LSZR/ACH) to Friedrichshafen (EDNY/FDH) lasted six minutes and reached a maximum altitude of 1,074 meters (3,525 ft). The direct distance between the two airports is 21 km (13.2 mi). The first flight traveled 27.4 km (17mi). The return flight lasted longer, taking 8 minutes to fly from Friedrichshafen to St. Gallen-Altenrhein covering a distance of 35.4 km (22 mi). Subsequent flights between the two airports may take longer due to prevailing winds, other flight traffic in the area, or air traffic control vectoring. 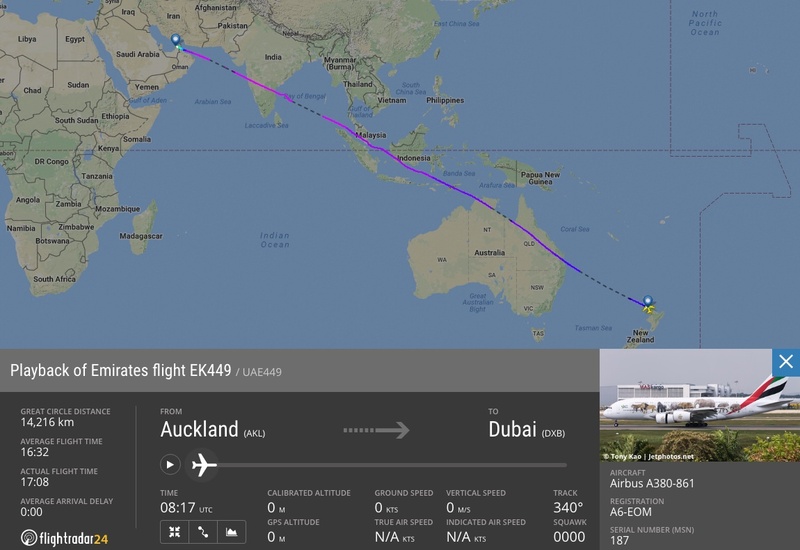 For comparison, the longest international flight (and longest flight in the world) is Emirates’ EK449 between Auckland, New Zealand and Dubai, United Arab Emirates, covering 14,216 km (8,833 mi) with an average flight time of 16 hours, 32 minutes—or roughly 141 times as long as People’s Viennaline’s flight. By distance, it is 677 times longer.